Ruth Hopp was born on June 1st, 1921 in Macksburg, Oregon. Her maiden name is “Ruth Ernastine Bietchek. She was the 4th child of seven born to Ernstine Henke and Julius Bietschek. Ruth notes that her mother’s first name was spelled without the ‘a’. “My mother’s name was Ernstine Henke and she was born on a ship coming over from Eastern Germany. The ship landed at Ellis Island. She and her parents moved to North Dakota and lived there for a while before moving to Canada. My mother grew up in Canada. It was there that she met and married my father Julius Bietschek. My father’s name was Julius Bietschek and he was born in Germany. When he was 6 years old, he traveled with his family on a ship to Canada; I believe they landed in Nova Scotia. His parents continued west across the country, and he grew up in Wetaskiwin, Alberta. My father was a good old German, and he loved his beer! He loved his family and worked very hard at Crown Zellerbach in Oregon, and at the farm. “Macksburg, Oregon is where I was born, but in 1922 my parents moved to Willamette, Oregon, where I grew up. I moved here when I was one year old”. Did you go to church as a youngster, and if so, where did you attend? What was church like back then? What are your fond memories? “We usually walked to church, or took the trolley. It cost 5 cents to go one way. We had to walk across the bridge and walk to Zion Lutheran Church in Oregon City. Pastor Kraxberger was the Pastor. The first service in the morning was in German, and the second one was in English. Usually we didn’t have enough money, so we walked home from the Church in Oregon City back to Willamette. Then, one year, when I was about 4 years old, my father bought an old touring car. It was all open, on both sides. Then, we would drive to church. We had cows, and my mother dressed me all up in a white dress and stockings, and my shoes were black. She wanted me to go down to the barn and tell my Dad that it was time to go to church, and that he better come up. The cow kicked me and I ended up in the trough! I cried a lot because I couldn’t go to church that day. My clothes were all soiled. “I went to Willamette Grade School and West Linn High School. I want to tell you about Willamette Grade School. The toilets were outside. They had one for boys and one for girls. For the lady teachers, there was a little alcove. I want to tell you about my first grade teacher. Her name was ‘Lilly del Dibley’. She was the cutest thing you ever saw. She was small and wore glasses on her nose, and had a bun in her grey hair, but was the sweetest thing. One day, she left the classroom, and she told us all to be really quiet. We were rowdy when she left the room. She came back in the room and said, “Well, I told you to be quiet. I want each one of you to hold out your hands”… and she came down the aisle and tapped each of us on our hands with the ruler; but not too hard. You could do that back then. There was a group of kids who put a cow up on the fire escape landing for Halloween. Perhaps it was the same kids who put a wagon on the top of the school building. It [the school] had a belfry, and the roof was sloped. How they got it up there, I will never ever know! “I am a professional “Stay at home.” I worked at the WEST LINN INN, serving as a waitress at banquets to different organizations. Mr. and Mrs. Seavy ran the West Linn Inn. There was a main room, lobby and kitchen, plus rooms on the second floor. I quit working at SAFEWAY because I wanted to work closer to home. I interviewed with Les DeJardin on a Saturday, and I started working on Sunday. I worked at ‘THE OLD STORE’ which was the original grocery store. They sold everything there. A newer THRIFTWAY was built below the building years later, and I worked there too. What hobbies do you like to do? “I crochet, can vegetables, I take care of the neighbor’s children once in awhile, just for enjoyment, and I clean house on Saturdays. I can pickles, peaches, pears, prunes, cherries, and all sorts of jams and jellies, canned tomatoes and salsa. I also make jalapeño jelly. I also enjoy traveling." How did you meet your husband Karl? “Well, I had known of him, because, after I was divorced, I was holding down 3 different jobs to make ends meet. I had to very work hard. One of the places that I worked was High Rocks Club. I worked there at night on weekends, and that is where Karl was working. We didn’t know each other at all. He lived in Oregon City. I was a meat wrapper, one of the first meat wrappers in Oregon at the Safeway Store in Oregon City. The Safeway was in that whole parking lot (across from Hopp’s Shoe Store). I was working in the meat department and we could only go on our breaks at one at a time. Ethlyn Hopp, Karl’s cousin worked there too. One day, Karl stopped in to our workplace. I thought he was just stopping in to say hello to Ethlyn. She said “I am going on my break”. She went on her break, but Karl didn’t go with her. When she came back from her break, I thought I would go on mine, and Karl said, “Well, I will go with you”. When we were there, he asked me to go to a football game…The West Linn/Oregon City game at the football field on Kelly Field. West Linn Won!! Afterward, we went to a party that someone was having on his side; which was Oregon City. I lived in West Linn with my folks. We were on our third date, and went to a football game. Karl wanted to make sure that I sat right next to him. It was on that night that he asked me to marry him. I didn’t feel that way about him yet. That went on, and he kept asking me, “When are you going to marry me?” Between Christmas and New Years, I agreed to marry him. On January 11, 1953, we had a big church wedding at Zion Lutheran Church. 3 of my sisters were my attendants, and 3 of his brothers were the groomsmen. Plus, my husband’s youngest sister ‘also named Ruth’, who was about 6 or 7 years old, was our flower girl. It was a huge wedding. My Dad liked Karl real well… they liked to visit and have a beer together.” Karl was the financial secretary to Local #166. He worked at Crown Zellerbach. Karl had a beautiful voice and he sang in the choir both at Zion Lutheran and West Linn Lutheran Church. He had a beautiful, deep voice. His father had a beautiful voice as well and was in the choir. When he sang ‘The Lord’s Prayer’, it gave you goosebumps; it would hold your attention and you were glued to him. Do you have any children, grandchildren, and great grandchildren? If so, what are their names? “I have three grandchildren named Gary Lee, David and Jeff. All three of them were baptized at the Lutheran Church. I remember when the children were young and went to church. Gary Lee turned around to the choir at the back of the church and said “Grandpa!” to Karl as he sang in the choir. Another time, Jeff was in service and drew a picture. He held it up to Pastor Olson and said, “See Pastor, this is for you”, and Pastor Olson said, “Amen, Jeff”, and that ended the service! I have four great grandchildren: The first is Gary Lee’s son Jake; and David’s children are Eli, Cora Ruth and Seth…which are all Christian names. Little Cora Ruth was born on Thanksgiving, will be 6 this year on Thanksgiving. She is named after me”. During your life what invention or new discoveries have you enjoyed the most? What changes in the U.S. have you observed in your lifetime? Has your outlook on life changed from when you were a young adult? Life was much harder when I was young. It was especially hard during the Great Depression, and people had to work very hard. Things are easier now. What do you like about West Linn Lutheran Church? 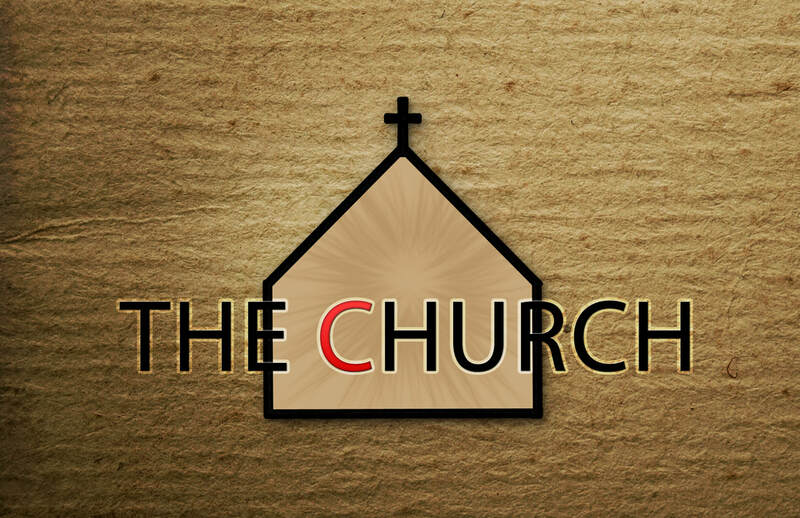 What additions or changes do you think would be helpful to our church as a whole? I think we need to make sure we don’t forget about the older people in the church. Most of us have been a part of the church for a long time. What are some of the accomplishments that you are proud of? ·That I have lived as long as I have. I am the first one of the 8 Bietchek children, who have reached the age of 90. What advice can you give to young people of today? Patricia Lealice Hicks was born at 8:00 a.m. on New Year’s Day, January 1st, 1927 in Yakima, Washington. Pat was the oldest of 4 children born to Harvey Gardner and Zala ‘Marie’ Reed. Her mother was from Washington state and her father from Ohio. They met in Washington and married in Yakima, WA. When her father was young he had a girlfriend named ‘Lealice’. He liked the name so much that they gave it to Pat as her middle name. Pat always liked the name Lealice, and she wished that would have been her first name. Her grandparents wanted her parents to name her Elizabeth, which was a family name. In the end, she went by Pat. Pat has two brothers and one sister. Her youngest brother and sister were twins. When Pat was a year old she moved from Yakima. When she was a small child she was not well and went to live at the home of her grandparents to get better. It was the Depression, and they could take good care of her. Her grandparents names were Jessie and Adelia Hicks. (They called her ‘Delia’). She didn’t go back to Yakima again until the 7th grade. What was church like back then? What are your fond memories? …. “My first recollection of going to church was going to a German Lutheran church. We were all baptized there, I was about 6 years old, the twins were about 18 months, and my brother was about 2 years old. My brother was a little crazy, like the odd man out. During the sermon, he yells ‘ali ali oxen free’. Our church had a little playhouse in back, and we all played in it. I remember being in Christmas plays at the church, and falling asleep on the stage. We went to the Huntington Park Lutheran Church in Pasadena, California on Huntington Boulevard. That was the last one [church] I went to until I was 6 or 7 years old. I liked church. I didn’t know anything about different churches. When we lived in Pasadena, I went to a little Baptist church. I loved this tiny little church woman who worked there; I don’t remember her name. We went to vacation bible school there, and I just hated for it to be over. It is no wonder that the church did well… they took such good care of their children, and made it a fun place to be. We went with our friends and I thought church was wonderful. “I lived in two places when I was a girl. When I lived with my grandparents, I went to West Whittier Grade School in Pasadena, California. I still know those kids I went to school with too. I went to school there from 3, 4th and 5th Grade, in Pasadena. I was just going into 6th grade when my Grandma died. We moved to Oregon and I went to the Stafford School, where we had 3 grades per class. They had 1st, 2nd & 3rd grades together. I was in the 4, 5 & 6 grade class as a 6th grader. My teacher’s name was Miss Parmely. She was very nice and I liked her. I imagine teaching 3 different grades would have been difficult. There were about 25 kids in the classroom. In the winter time, we had a wood stove in the room. I had never seen snow before. One day it snowed and I had to walk to school. Someone tried to pick me up and take me to school, but I hid because I liked snow and I wanted to walk in it. I stopped and made snow angels along the way. By the time I got to school, I was sopping wet. My teacher had me take my shoes and socks off and they were laid by the wood stove. That was my first experience in Oregon. I loved that school! After that year, we moved back up to Yakima, Washington where I attended the 7th grade and lived with my Great Aunt. Aunt Flora was my grandmother’s sister, from the Gardiners side, who lived in Yakima. Aunt Betty was my grandmother’s daughter. She was married to my Uncle Jerry. In 8th grade, my grandpa sent me back to my dad and stepmother in California. My stepmother was not a very nice person to live with. The good part of that was being with my brothers and sisters. For that year I was with my dad. I got married, and had my children. Later, my mother came to live with me. I raised 5 children. My first marriage was to James Rico. We were only married for 13 years. Russ and I had three children; a daughter named Alice Rico, a son named Russell Rico and another son named Jerry. Russell joined the military and was sworn in here in Oregon. Currently Russell and his sister Alice both live in Oklahoma with their families. Jerry lives here in Oregon. I met Clarence ‘Bud’ Larson when I was 32. How did you meet each other? “It was a blind date. Alice made friends with some people who knew Bud. They arranged a ‘blind date’. She said, “You go home and get ready”. I didn’t want to go. After that first date, he came over almost every day with something to for us to eat. One day he brought me a television set. We were married on August 2, 1958 in Vancouver, Washington. I helped raise Bud’s daughter, who is named Patsy Larson. Bud and I had one child together, and her name is Lori Larson. Bud adopted Jerry, my son whom I had by James Rico. Bud was well known in the area. He worked for 27 years for West Linn Thriftway. At Thriftway, everyone was just like family. They employees visited with those who shopped there and had sympathy for everyone who came in. He was a good cook, and showed women in the store how to cook foods. Bud passed away in 1991. Oh, yes. I believed in certain things when I was younger and was adamant about it. I had a terrible time in my 20’s. I met Bud when I was 32, and my life was smoother after that. Now that I am older, I am easier going. I was one tough mother. I was so strict. I look back and think that was so unnecessary. When Lori came along, I loosened up a lot. What advice would you give to younger generation? Don’t be too lenient, and don’t be too tough. It is a hard spot, but raising children is hard. Give them lots of love. Well, what I really ‘enjoyed’ was the automobile. What ‘helped’ me the most was the dishwasher, washing machine and clothes dryer. I remember trying to dry clothes without a dryer. I didn’t have any appliances when I got married. I hung them out to dry and hoped that it would not rain! For many years I worked for lawyers, and was a legal secretary. After I got laid off, I spent time with the kids, did small jobs. Then, I decided I wanted to be a nurse. I went back to school and became an LPN. Nancy Jennings was responsible for my going back to school. Nancy was the first women President of West Linn Lutheran Church. I continued on at school, trying to get my RN degree, but it was too difficult. I ended up being an LPN all these years. I was basically a born caretaker. What hobbies to you like to do? I used to do a lot of sewing. I made all of our clothes for a long, long time. I don’t sew at all any more. I made Lori and Alice’s clothes, and their friends. I made all my work clothes. I was always busy at night. During the day I sewed; at night, I would can vegetables. I had hundreds of quarts of apple sauce, beans, pears, froze peas and corn, and pickles. One year, I canned 125 quarts of pickles, both dill & bread and butter, and fruit of all kinds. They didn’t even last through the year. After my husband Bud died, I did all the gardening and the yard work. That is why I live here at the adult center now. I fell and broke my back few years ago. Do you have any grandchildren and great grandchildren? If so, what are their names? Annie, Callie, Kyle, 2 grandchildren from Alice, 3 grandchildren from Russ. I have 14 or 15 great-grandchildren. I am proud of my kids, all of them. The biggest accomplishment is raising a family. It is friendly. It is accepting of what I believe in. I believe in welcoming people. I don’t believe in racial problems, I think it is terrible. Just, love one another. I love this church. I am a charter member of the congregation; one of the original people who transferred from Zion Lutheran Church in Oregon City. There were 84 people who moved here when the church opened because there hadn’t been a Lutheran Church here in West Linn. Some of the original members were Carol and Chuck Geldaker, Pat and Al Gettel, Julie and Stan Schwabauer, Eleanor and Bob Miller and my husband Bud and myself. Live your life in God’s eyes. I think you should live the way God wants us to live. Work at whatever you want to work at. If it is school, do that. I think a person should have a hobby, to keep their extra hours occupied. John Alfred Gettel was born on April 30, 1921 in Canada. He was born in the province of Saskatchewan, the closest city being Regina. He was the son of Matilda and Karl Gettel. His name was originally spelled ‘Goettle’, and was pronounced like ‘goat – ull’. In his family there were 8 daughters and 4 sons. Frank, Edith, Ernestine, Rose, Sue, Minnie, Hilda, Alfred, Olga, Ernie, Harold, Tillie and a set of twins that did not live. He said that the Godparents would name the children. The family moved to Portland, Oregon in about 1927, when Al and his siblings were young. They ended up in Oregon City. When he was a boy, his family attended the ‘old’ St. Paul’s Church on about 12th street on the East side of Portland. Back then, the service was given in German. Al said, “I could understand the German as good as the English back then”. There was no weekly communion then, maybe only once every 4-5 weeks. Al attended Zion Lutheran Church after that, where he was a member for 53 years. When he was a boy he attended Woodmere Grade School in East Portland for part of a year. When the family moved to Oregon City in March and they attended Park Place School. Al recalls that the classes were taught with two grades combined… first and second grade together; third with fourth; fifth with sixth; and the seventh and eighth grade teacher was also the principal of the school. After Park Place School Al attended Oregon City High School, and the children all rode the bus. Al went to for the Williams Company, selling air valves. The valves were used for industry and trucks. He traveled all around California, Oregon, Montana, Washington and Idaho representing the company. He was given a company car and did all the driving himself. He worked for them until his retirement in 1987. Al is a great gardener and dahlia grower. He has apple and pear trees and many flowers in his yard. On October 22, 1950 Alfred Gettel married Patricia Ann Frost in Oregon City at Zion Lutheran Church. He and Pat have been married for 64 years. She likes to say that ‘Al robbed the cradle’ as she is 8 years younger than he. Pat said that Al’s uncle Frank Wehling told him about Pat, who was working at the Ben Franklin store in Oregon City. Al went in the store to check her out before he asked her out. Patricia Ann Frost was born in Oregon City on May the 12th in 1930 to Oliver and Ruth Frost. Her father was from Oregon City, in the area of ‘Canemah’. Her mother was from South Dakota. Pat had one older brother and 3 younger brothers … no sisters! When she was a girl she attended the Congregational Church on 6th Street. The family moved to Cathlamet, Washington for ten years, until she was in 8th or 9th grade. Pat’s ancestors came traveled across the plains to Oregon on wagon train as did many early pioneers. She is related to many prominent historical pioneers in the area. Her great grandfather was Hirum Straight; who was born in New York in 1814, the 2nd of 12 children. In 1843, Hirum and his wife Susan Lasswell of Ohio traveled across the plains to Oregon. Hirum staked a claim directly across the Clackamas from Fendel Cason, who constructed the first bridge across the Willamette River. Hirum’s daughter Julia Frost is Pat’s grandmother. Hirum Straight lived at 648 Grant at Park Place in Oregon City. There is a small cemetery there marked by a large stone which tells the history of the area. Many of her family are buried there. Pat is also related to the Stevens family. Pat and Al lived off of Telford Road in Oregon City when they were first married. They moved to the Willamette area of West Linn, Oregon for 17 years where they had a filbert orchard. They had 3 acres of land, one of which was planted with filberts. They would haul 5,000 pounds of filberts to Damascus, Oregon each year. Pat said she can attest to that after crawling around the ground picking up a thousand pounds herself one year! Al and Pat have four children; Mark, Karen, Greg and Randy. They have 3 grandsons. Pat said that her profession was babysitting and raising children in her home; at one time having 15. Some were in diapers and others came after school and she helped teach them. There were a few who even spent the whole night. Pat’s hobbies include sewing, cross stitch and garden. She has completed many fine pieces of work, and given many away to family. She even donated a large cross stitch piece to West Linn Lutheran Church.